ImageMagick for Windows 10 - a program that works with bitmaps in any format. Available to create, layout, editing graphic files. Implemented support for interaction with a large number of extensions. The utility is equipped with a built-in tool for converting. The main functions and operations will allow you to rotate the picture, crop, transform, change color, mirror it. The set provides various filters, effects, available display technical parameters of the picture. 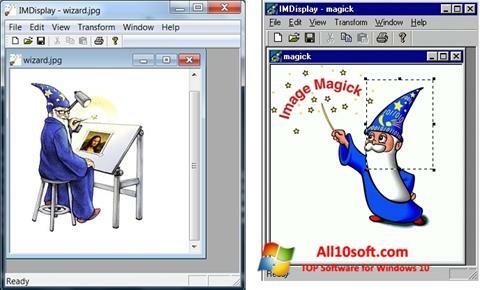 You can free download ImageMagick official latest version for Windows 10 in English.